The worn-out fleet of BSC cannot ply many international routes due to lack of compliance with international rules and regulations. 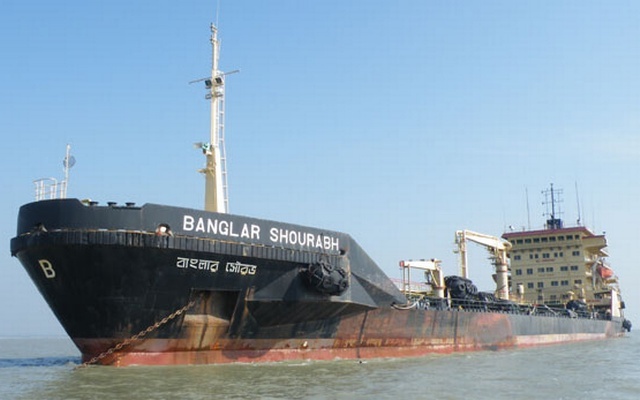 The government of China will provide $184.50 million concessional loan to Bangladesh for procuring six new vessels for Bangladesh Shipping Corporation (BSC) from China. The Chinese authorities have already provided the drafts of the framework agreement along with the Chinese Government Concessional Loan (CGCL) agreement to the Bangladesh authorities. An inter-ministerial meeting on the draft agreements was held on 28 July with an additional secretary of Economic Relations Division (ERD) in the chair. Bangladesh government cleared the project to procure six vessels, including three oil tankers, and three bulk carriers, each with 39,000DWT capacity in a bid to enhance the capacity of the BSC by raising the number of vessels to its fleet as the state owned enterprise has been struggling to provide necessary shipping service. With the six vessels, the BSC will have a total of 19 vessels in its fleet. Right now most of the BSC’s vessels have crossed their service capacity and often stay in the dockyard for repairing works with only three functioning. The worn-out ships cannot ply many international routes due to lack of compliance with international rules and regulations, which shrunk the businesses of the BSC that had as many as 26 ships in early 80’s. After the liberation, BSC fleet included more than 38 ships but no vessel was procured since 1991. Talking to UNB, an ERD official said the Chinese government has agreed to provide 1.2 billion RMB Yunun equivalents to $184.50 million for procuring these vessels following a request from the Bangladesh government. He said that officials, who were present during the meeting, have come to a point on various aspects of the draft agreements and expressed their ‘no objection’ with it. The framework agreement would first be signed between the two governments and then the main financial agreement would be signed between the two sides, he added. The state owned enterprise will become profitable again once the project is implemented, opined the meeting attendees. Besides, the induction of these new vessels would play an important role in import and export activities, creating more employment opportunities, added the official. Although the BSC has been trying to procure vessels since last a few years, it could not proceed with the plan further due to shortage of fund. Later, the Executive Committee of the National Economic Council (ECNEC) approved the project on 7 July 2015 at a cost of Tk1,843.58 crore, according to Planning Commission sources. The Bangladesh government will get preferential loan of Tk1, 448.32 crore from China Exim Bank and the BSC will bear Tk395.26 crore from its own resources. According to the Shipping Ministry sources, China Exim Bank has agreed to provide the concessional loan under government to government basis at a very lower interest rate. The rate of interest of the loan will be 2% and the loan repayment period is 20 years including five years of grace period. A Memorandum of Understanding (MOU) in this connection was signed with the CMC in the Chinese capital Beijing on 15 June2012 during the visit of Bangladesh prime minister Sheikh Hasina. After the signing of financial contract, the construction of the vessels will begin and these will be procured by 2018.